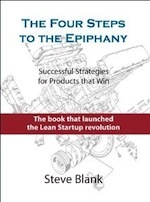 The Stanford Lean LaunchPad class was an experiment with a new model of teaching startup entrepreneurship. With two weeks and two more updates to go, this post is part six. Parts one through five are here, Syllabus is here. While we’ve been pushing hard on the teams, this week the teaching team was about to get its socks blown off. All the teams were showing us what agile looked like, but this week several would remind us what focused and relentless really meant. Week 6 of the class. Last week the teams tested their hypotheses about Customer Relationships (how do they get, keep and grow customers.) 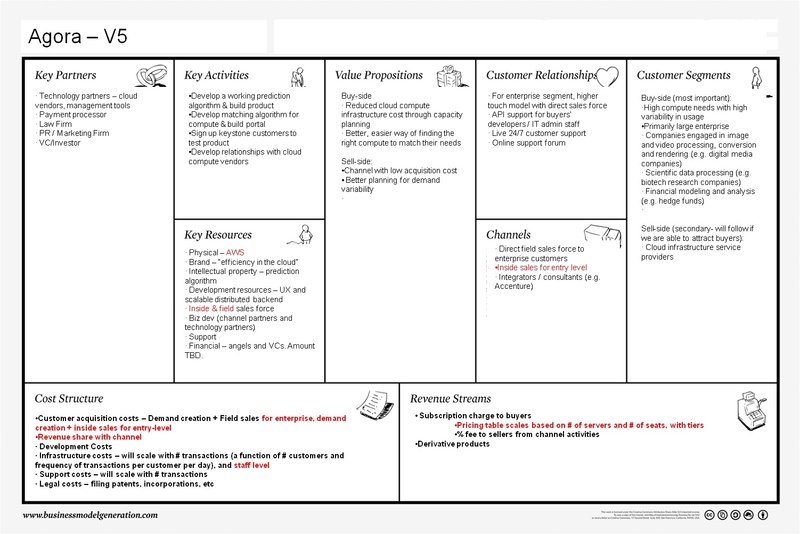 This week they were testing their hypotheses about the sales “Channel” – how a company delivers its value proposition (i.e. its product or service) to its customers. There are two major channels: physical channels and virtual (web/mobile) channels. Physical channels include Direct Sales, Rep Firms, Systems Integrators, Value-added Resellers, Distributors, Dealers, Mass Merchandisers, and Original Equipment Manufacturers. Virtual channels include Dedicated e-commerce, Two-step e-distribution and Aggregators. The first team up was Autonomow, the robotic mower farm weeder. They believed tthey would sell their robotic weeder to farm equipment dealers and distributors so they interviewed 9 more of them this week. They found that sales to this channel would require a demonstration, and that dealers would have to demo the robotic weeders to the customers. They learned that farmers expect personal and timely service/support. Relationships and trust are important. All that we expected. But what they showed us next astonished all of us. Last week we challenged the team that unless they developed hardware which could tell the difference between a weed and a plant, their business model would be just another set of PowerPoint slides. 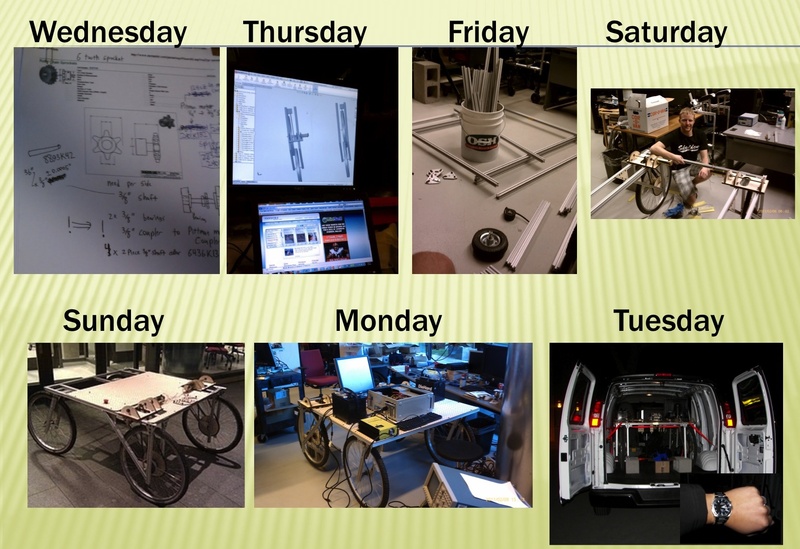 We expected that at best in the final 3 weeks of class they might build prototype hardware on a lab bench. Instead they built the prototype of an entire weeding robot – in one week. They called it the CarrotBot. CarrotBot was their research platform to gather data for machine vision/machine learning. They wanted to test: can a machine tell the difference between a weed and a plant in the field? What about under different lighting and soil conditions? Could they train a machine to do this automatically? The CarrotBot had a high-speed machine vision camera and a high-resolution camera for visual data as well as a panning LIDAR system for sub-millimeter depth measurement. Encoders on the drive motors and RTK-GPS measured precision position and velocity. After they validated the weed detection system, the next step was to arm the CarrotBot with a weed kill system (clove oil, high pressure steam/water, or lasers). 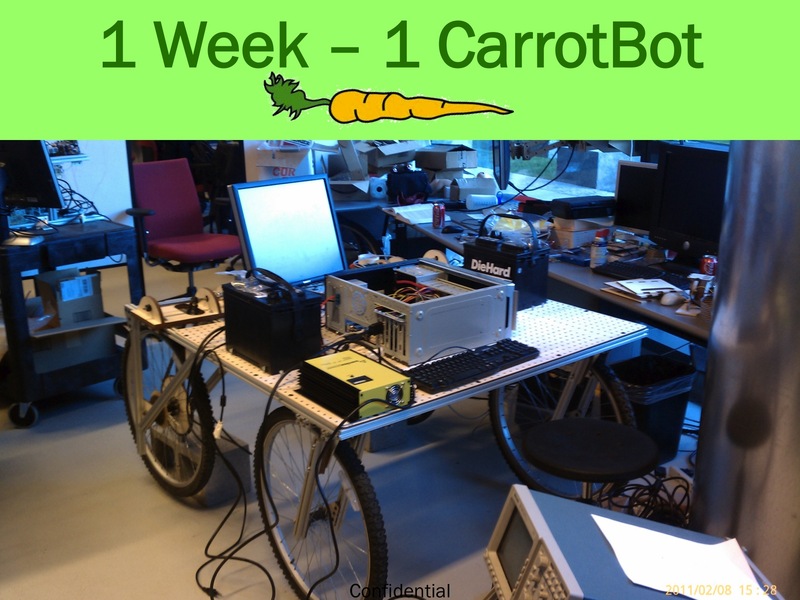 Their goal is to deploy CarrotBot this week in the farm fields in Avenal, California, on the way to the World Ag Expo. I’m sure the teaching team gave them some advice, but we were so busy trying to hide our jaws hitting the floor I can’t remember what it was.. If you can’t see the slides above, click here. Next was D.C. Veritas, the team building a low cost residential wind turbine. This week the team got religion and decided that a major pivot was in order. They ditched the residential market as they realized that a more accessible and profitable customer segment(s) were cities, lighting companies and utilities. In talking to customers, the team found that cities are actively trying to reduce street lighting costs (retrofitting with LEDs, turning off lights, and charging streetlight fees.) If they redesigned their the wind turbine, it could be embedded into street and highway light poles. Not only could the turbine power the street lights, but it would make excess energy that could be sold back into the grid. 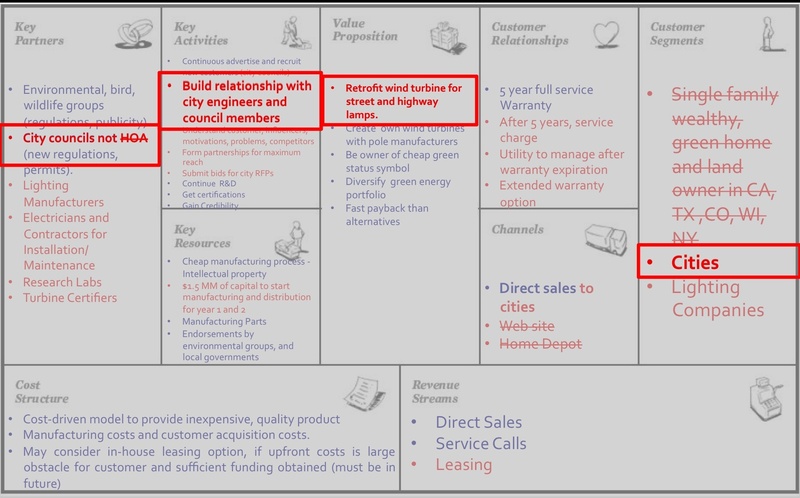 Their value proposition had now changed from a wind turbine supplier to homes, to a distributed power supplier to cities and utilities. Their channel was still direct sales, but now selling to cities allowed them to sell multiple turbines with a larger order size. D.C. Veritas estimated that their new total available market was 13 million city street lights in the U.S., plus an unknown number of highway lights. The feedback from the teaching team was that with a new customer segment identified the team was now in a race against time to provide a meaningful business model before the class ended. This team spoke with 10 more customers and potential channel partners. They heard: “the academic market is terribly small, charging $1 a user for a high volume academic site license is unrealistic, the cost of reaching lab managers is prohibitive, despite poor economics there are many niche competitors, and academic software is a “dinosaur” business with lots of competitors in the space because they started there years ago and aren’t able to pivot out.” Ouch! With the evidence piling up, the team is now starting to think about pivoting to other customer segments and/or other pricing models. Should they create a freemium version of their current product? 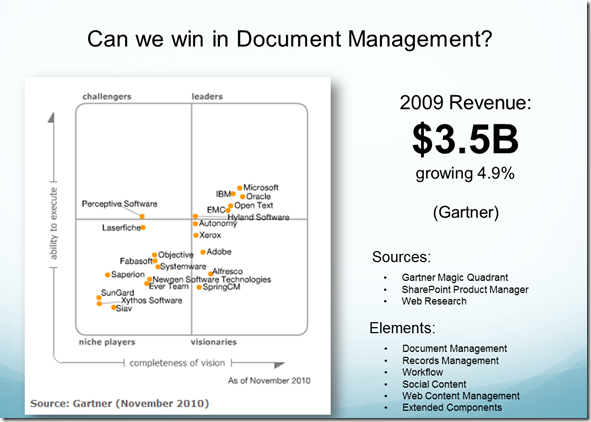 Should they look at the Document Management market? Time is running out for the PersonalLibraries team. Two more weeks of the class to go. Take a look at their presentations and you decide – what should they do? The Agora Cloud Services team, (a marketplace for cloud computing) spent the week testing their channel hypotheses and further refined their business model canvas. They believed they were going to have inside sales reps, third party cloud computing consultants and their own web channel sales. The team interviewed another 9 customers and industry experts and attended the Amazon Web Services meetup in San Francisco. This week’s lecture covered the Revenue Model including questions like these: How does your company make money? What are your customers going to pay for? What types of revenue streams are there? How does the web differ from other channels? 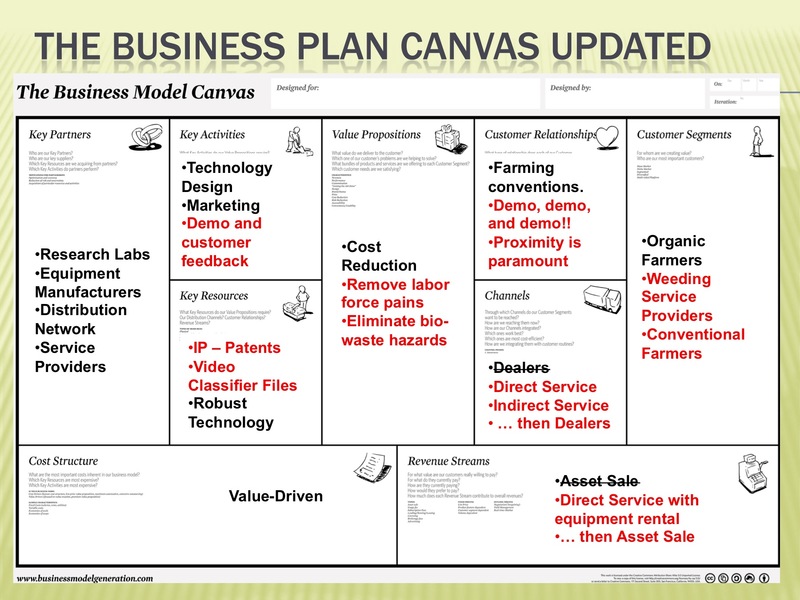 Our assignment for the teams for next week: What are the key financials metrics for your business model? If you have more than one product, how will you package it into various offerings? How will you price the offerings? What is the customer lifetime value? How are your competitors pricing? Each team has to test their pricing in front of 100 customers on the web or 10-15 customers non-web. 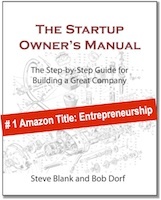 And they had to assemble an income statement for the their business model. If you can’t see the slide above, click here. Most of the teams were doing great. A few were doing spectacularly well. One other team in the class, Jointbuy (an online platform allowing buyers to purchase products in bulk) turned in an equally extraordinary effort. When testing demand creation in their multi-sided business model, they couldn’t get enough sellers to their site. So they sent out mass emails to create demand. They certainly got noticed – as they had hijacked the Stanford email system to send 16,000 emails before they got shut down. Much like startups in the real world, team performance in entrepreneurship classes seems to follow a Pareto distribution. Two weeks to go. 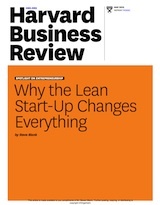 Let’s see how tenacity, sleepless nights, customer feedback and agile iteration change the final outcome. amazing how they built a prototype that fast. I guess they’re engineers? Steve, I would love to host your lectures on our new platform http://www.9slides.com ,which is much more effective in communicating and connecting with remote audience. How can i reach you to show demo.